I needed an old wing chair and ottoman redone. Went to Eurofab as i have bought fabric there before. Got a lovely fabric at a good price and used their service for the work on my furniture. They did a beautiful job redoing the chair and ottoman and replacing old foam padding. The overall experience was great and the product outcome was excellent at what i thought was a very fair price. I am thrilled. Thank you so much for the review! We are happy to hear that you were thrilled with the service and product. While they have some beautiful fabrics on display and it isn't overwhelming like some of the other stores, I was disappointed. Most of the fabric options are in books, not displayed, so you need to sort through a million books to find what you need. Also the sales staff were not knowledgeable or helpful, nor were they nice. I would like to thank you for taking your time and leaving a feedback. Although we do carry lots of books -most of which are organized by colour-, we do also carry thousands of fabric samples on display as you can see on our google walk through. As for the sales staff not being helpful; I sincerely apologize that you felt that way during your last visit. Our staff are always courteous and ready to help. I hope you will gave us another chance in the future to prove that to you. We had the need to re-upholster an old love seat and a chair. We went to Eurofab and found a great selection of fabric; we also found the company would not only sell us the fabric but would take care of the re-upholstery for a fee. The quality of the fabric was excellent but Eurofab scored really poor on client service. After we were there in person, their sales person took very long to send us an estimate as she initially agreed. I called multiple times and emailed her with no response. Many times, I just was told to call again, instead of being offered to leave a message. After we agreed to proceed and made an initial payment, Eurofab again went silent and our furniture was not being picked up. When I called to follow-up, Eurofab could not provide information since the salesperson takes the “employee book” with her and she was not in. I was asked to call again. The sales person finally responded to my call leaving an agressive message. After a few days, the furniture was picked up, repaired and delivered back to us. I would like to note that, the third party used by Eurofab for upholstery, did a very professional job. 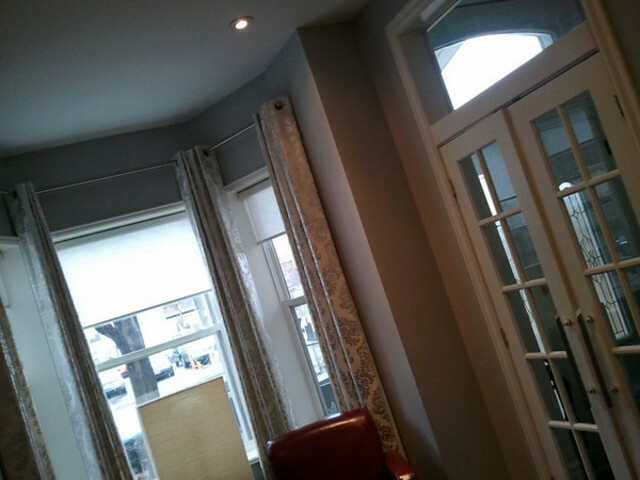 They were punctual and the quality of their work was excellent. 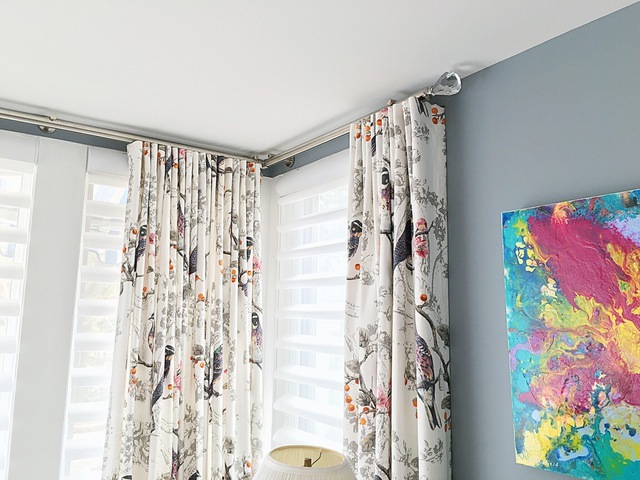 We love the new drapes - they are custom made with fabric from another source. 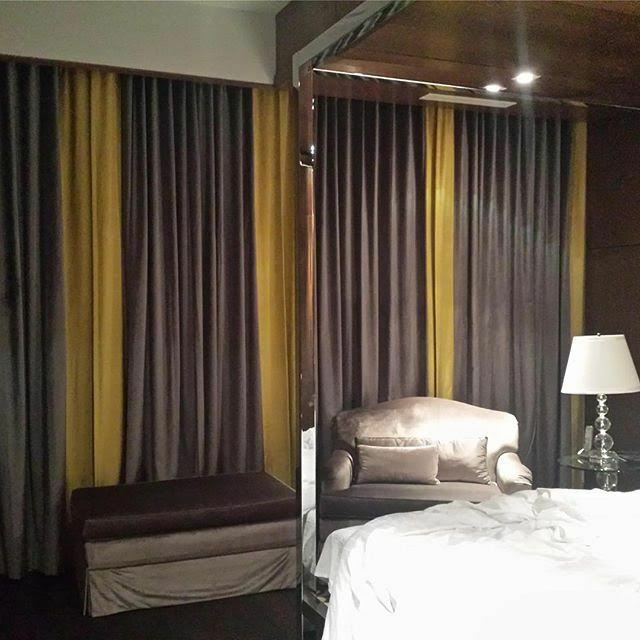 Eurofab had no problem using our fabric, making beautiful drapes and getting them done and installed quickly. They also fixed romans they had made for us a few years ago without hesitation or charge. I will only use Eurofab for my drapery needs. A fabulous store located on Queen street West. They sell beautiful high-end, imported fabrics for home design (drapery, upholstery, pillows). Their consultants are very knowledgable and provide fantastic suggestions and recommendations so you can turn your idea into a reality. We first discovered Eurofab when we purchased Sunbrella fabric for our outdoor furniture, a small do it yourself project. I was really impressed with everyone I spoke with and particularly Cameron who is extremely helpful and has great taste. 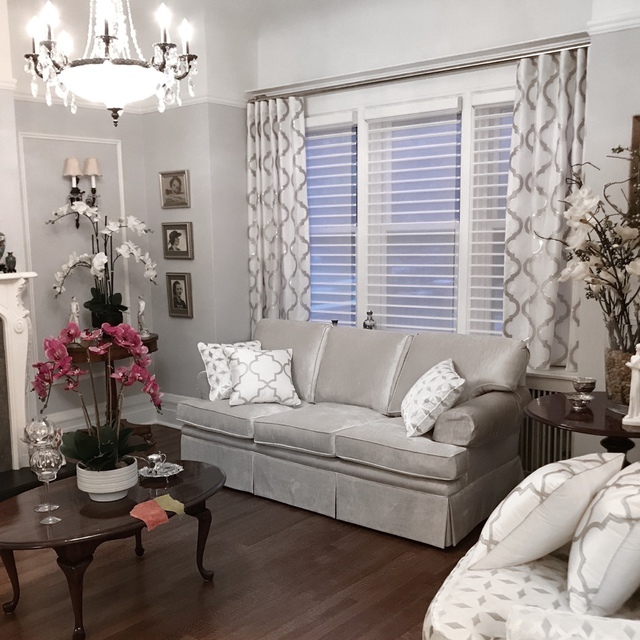 When we decided to replace our living room curtains, we price shopped but were far more impressed with Eurofab than anyone else. It was a very smooth experience from end and they are competitively priced. They have anything and everything you will need to decorate your home. It was so overwhelming because they had hundreds of books to choose from including thousands of samples hanging on the walls, so make sure you have an idea of the colors and patterns you are looking for before you go or else you will be there all day! They were very helpful when I got overwhelmed with my sellections and helped me narrow down my fabrics. What a great team. 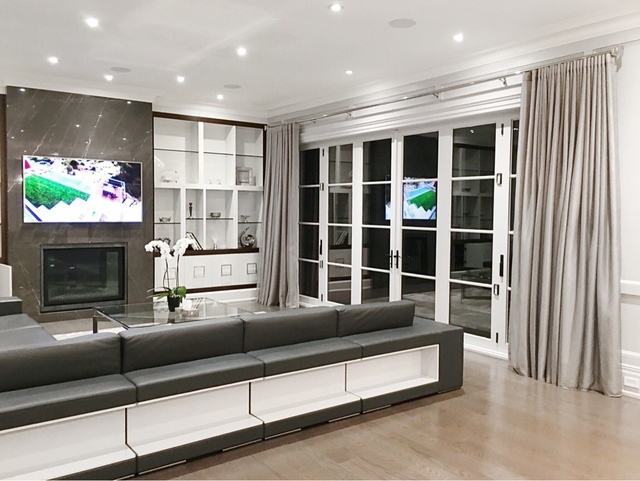 The only downfall is that their prices are considerably higher than what you can purchase online, but since they are one of the best stores to shop in the Toronto area, then you have to pay for the convenience of having EVERY style of fabric in one location. 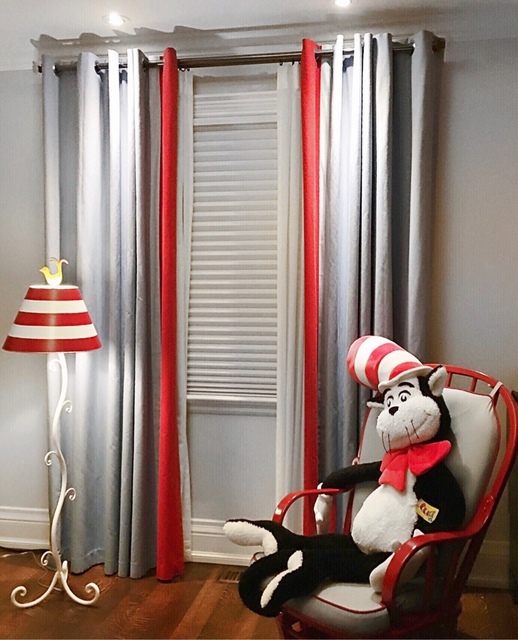 Ashley from Eurofab helped us to select the best fabrics, recommended the best fixtures, and picked out our blinds. How did she do this so easily and so well? The company offers a $150 consultation - they will come to your home and make the best recommendations for you. Now, at $150, this isn't free - but if you do decide to proceed with ordering, it comes off your total cost, so if you feel confident that you'll be making an order, it's well worth your investment. 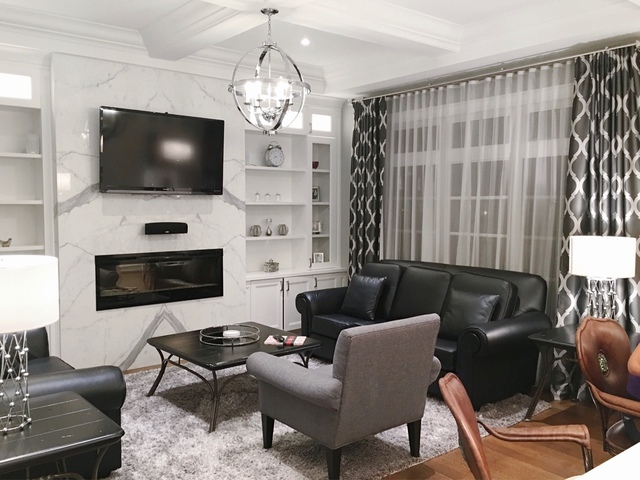 When we ordered, we were told it would be approximately three weeks - the job was instead complete in less than two, with the exception of one blind which is still coming well within the time frame. 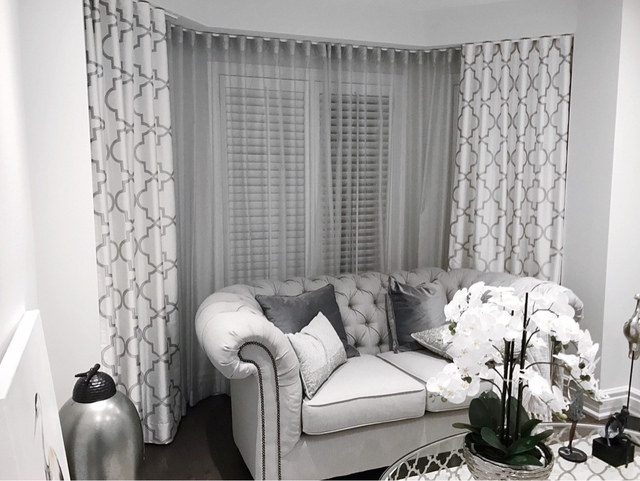 We are thrilled with our new drapes and blinds, and look forward to using this company again when it comes time to do our wallpapering. I would absolutely recommend Eurofab to others. Ordered fabric on Nov 28-07 and was told would take 2 - 3 days to arrive. Week later called - no fabric - told fabric was in transit. Called again was assured fabric would be in the next day or two. Fabric arrives, store calls and says it is PINK instead of the CHERRY RED that was ordered. That the fabric in their store that they sold me is not the CHERRY RED that the supplier has. I have wasted two weeks waiting on something that they could never supply to begin with. Although staff Marnie was trying to be helpful - she is clearly not trained in customer service and offered no explanation other than "this has never happened before".I am most disappointed and am will never shop there again or recommend this establishment to anyone. Very personable, great service, lots of selection and great prices. Gives great advice and comments.